There are two levels of court dealing with civil claims of substance3 at first instance: the District Court (which has jurisdiction over claims of up to HK$3 million)4 and the Court of First Instance (CFI), which has unlimited jurisdiction. The Court of Appeal (CA) hears appeals from both the CFI and the District Court. It also hears appeals from the Lands Tribunal as well as other statutory bodies. The Court of Final Appeal (CFA) is the highest court in Hong Kong and is made up of local permanent judges and distinguished judges from (currently) England and Australia who serve as non-permanent judges. It hears appeals from the CA and the CFI. There are a range of specialist tribunals established under statute, such as the Lands Tribunal, which deals with cases concerning real property; the Labour Tribunal, which deals with employment matters; and the Competition Tribunal, which deals with cases connected with competition law in Hong Kong. Hong Kong is a major centre for international arbitration. There is a sophisticated statutory regime in place to support arbitrations (see Section VI). Mediation has also become widely accepted in Hong Kong (see Section VI). The moderate growth of the Hong Kong economy continued in 2018, supported by growth in private consumption expenditure, export of goods, inbound tourism and retail sales. Although the outlook for Hong Kong's economy remains broadly positive, global trends – such as the rising tide of US protectionism, the PRC–US trade war and a period of transition in the EU – have all combined to introduce inherent uncertainty. Hong Kong deservedly retains a reputation for a relatively laissez-faire style of capitalism. However, there is now a perceptible legislative trend toward what might be considered a more socially responsible development model. The coming into effect of the Competition Ordinance on 14 December 2015, aiming to create a fairer marketplace for Hong Kong consumers by prohibiting certain anticompetitive conduct, is one example of the efforts being made by the Hong Kong government to achieve its stated objective of creating a fairer and more balanced society. Regulators have maintained their prominent position in newspaper headlines in Hong Kong. On 3 May 2016, Mr Thomas Atkinson, the former Director of the Enforcement Branch of Canada's Ontario Securities Commission, was appointed Executive Director of Enforcement to the Securities and Future Commission (SFC). Under his tenure, the SFC signed a memorandum of understanding with the Hong Kong Police on 25 August 2017 for stronger cooperation in combating financial crime. In November 2018, the SFC and the Independent Commission Against Corruption (ICAC) for the first time jointly raided offices of suspect companies. In the quarter ending 30 June 2018, the SFC alone started 61 investigations, a decrease from the 89 it began in the corresponding quarter of the previous year, but still indicative of the SFC's rigour in relation to enforcement. In the same period, the SFC disciplined five licensed corporations and three representatives, resulting in total fines of HK$83.5 million. In its 2017–2018 Annual Report, the SFC continued to list corporate fraud and misbehaviour as a top enforcement priority area. The ICAC has stayed in the headlines. In 2017, the ex-Chief Executive Donald Tsang was held liable for misconduct in public office and was sentenced to 20 months in prison. His sentence was later reduced to 12 months by the CA. His application for leave to appeal to the CFA was heard on 20 December 2018 (see Section II, below). On 31 August 2018, the ICAC charged a former Deputy Secretary for Economic Development and Labour and a former director of Hong Kong Express Airways with bribery and misconduct in public office in relation to a flats-swap deal. Headlines in Hong Kong have continued to be dominated by constitutional law issues. On 17 August 2017, three pro-democracy activists Joshua Wong, Nathan Law and Alex Chow were sentenced to prison over their role in the Umbrella Movement protests that took place in 2014. The three young men were convicted on unlawful assembly charges. Initially, the trial magistrate sentenced Wong to 80 hours of community service, Law to 120 hours of community service, and Chow to a three-week suspended jail sentence. Subsequently, however, the Department of Justice requested a review of the sentences, arguing, among other things, that the sentences imposed failed to reflect the gravity of the offences, the culpability of the respondents and the fact that the respondents did not show genuine remorse for their actions. As a result, the CA sentenced the activists to between six and eight months' imprisonment. On 6 February 2018, the CFA overturned the lower court's decision and upheld the original non-custodian sentence. Nonetheless, the CFA endorsed the new guideline laid down by the CA to impose stricter sentences for large-scale unlawful assemblies involving violence. In November 2018, the trial began for the nine leaders, including the three founders, of the Umbrella Movement for various public nuisance offences. The trial lasted for four weeks and the court's judgment is expected to come in April 2019. Meanwhile, the joint border checkpoint with the PRC at West Kowloon Station, the Hong Kong terminal for the Guangzhou-Shenzhen-Hong Kong Express Rail Link, remains a focus of debate despite the opening of the railway on 23 September 2018. In June 2018, the Legislative Council (Legco) passed the heavily contested bill setting up a joint border checkpoint with the PRC at the West Kowloon Station. The joint border checkpoint allows passengers travelling on the express rail to clear border checks for both Hong Kong and the PRC at a single location, thereby avoiding the need to clear the Hong Kong border check at the West Kowloon Station and the PRC border check at the Shenzhen Station–Shenzhen-Hong Kong border. The decision has been controversial as the arrangement means Chinese law will be enforced in Hong Kong. A number of activists in Hong Kong have applied for judicial review against the constitutionality of the joint border checkpoint at West Kowloon Station, relying, for example, on Article 18 of the Basic Law of Hong Kong.5 The hearing was at the end of October, after which judgment was reserved. The SFC, as the independent non-government statutory body responsible for regulating the securities and futures markets in Hong Kong, has been continuing its high-profile campaign to pursue enforcement actions under both its criminal and civil jurisdictions. On 28 June 2018, the SFC commenced proceedings in the Market Misconduct Tribunal (MMT) against Mr Li Kwok Cheong and Mr Li Han Chun, former chairman and chief executive officer of China Forestry Holdings Company Limited (China Forestry), respectively, for suspected disclosure of false or misleading information, which induced transactions in China Forestry's shares. The SFC alleged that China Forestry disclosed false or misleading information in relation to its financial performance. The SFC also alleged that the purported supporting documents were falsified and China Forestry had maintained a separate set of accounting records showing its true financial position, which had not been provided to its then auditors. The SFC commenced proceedings in the CFI in January 2017 but the proceedings have been stayed pending the outcome of the MMT proceedings. they did not use the inside information since they believed that whatever threatened the share price of ATML stemming from the company's problems would be resolved 'behind closed doors' in the future, and would not influence the market price of the shares. The CFA, in a majority of four to one, set aside the decisions made by the lower court and the MMT and held that Yiu and Wong had failed to establish that they did not use inside information to secure profits. The CFA remitted the case back to the MMT to deal with sanctions. In late October and early November 2016, respectively, two banks in Hong Kong announced that the SFC intended to take action in relation to their respective roles as joint sponsors in certain initial public offerings in 2009. In January 2017, the SFC filed proceedings against the two banks, alleging market misconduct. Over the past two years, the SFC has reprimanded and fined three investment banks in Hong Kong, namely CCB International Capital Limited (HK$24 million), Citigroup Global Markets Asia Limited (Citigroup) (HK$57 million) and BOCOM International (Asia) Limited (HK$15 million), for failing to discharge their duties as sponsors in listing applications. A number of other related investigations continue. In 2016, the SFC reprimanded and fined Moody's Investors Service Hong Kong Limited (Moody's) over its publication of a report entitled 'Red Flags for Emerging-Market Companies: A Focus on China', which was published on 11 July 2011 and claimed to identify risk factors of PRC-rated companies. The SFC concluded that in preparing and publishing the report, Moody's failed to, inter alia, give sufficient explanations for the 'red flags' they assigned to companies and thus constructed a misleading picture of the companies and failed to properly ensure the accuracy of the red flags assigned to the companies. The Securities and Futures Appeals Tribunal subsequently affirmed the SFC's conclusions and found that Moody's had breached General Principles 1 and 2 of the Code of Conduct for Persons Licensed by or Registered with the Securities and Futures Commission, which requires that a licensed or registered person, such as Moody's, should act honestly, fairly, and in the best interests of its clients and the integrity of the market in conducting its business activities. Moody's subsequently appealed unsuccessfully against this determination to the CFA. In October 2017, the CA dismissed Moody's application for leave to appeal the decision to the CFA. On 3 September 2018, the CFA dismissed Moody's appeal, which brought an end to Moody's challenge to the SFC's jurisdiction to take disciplinary action against it in this matter. The SFC has brought further proceedings in the MMT in respect of the disclosure obligations imposed on listed companies, which came into force under the SFO as Part XIVA on 1 January 2013. In April 2018, the SFC commenced proceedings in the MMT against Fujikon Industrial Holdings Limited (Fujikon) for failing to disclose inside information as soon as reasonably practicable on discontinuing headphone production for one of Fujikon's top customers. The SFC alleged that discontinuing the headphone production was specific information relating to Fujikon, price sensitive and not generally known to those who were accustomed to deal in Fujikon shares at the material time. The SFC also alleged that the senior management of Fujikon failed to take steps to cause the Board of Fujikon to disclose the inside information as soon as reasonably practicable after becoming aware of such information. Similarly, in May 2018, the SFC commenced proceedings in the MMT against Magic Holdings International Limited (Magic) and its nine directors for failing to disclose inside information as soon as reasonably practicable on the potential acquisition of Magic's issued shares by L'Oréal SA (L'Oréal), a French cosmetics group, in 2013. The SFC found that Magic and L'Oréal had several discussions in relation to L'Oréal's proposal to acquire the shares of Magic since early March 2013 and even reached a preliminary agreement regarding the sale of all the issued shares of Magic during a meeting on 29 March 2013. Nevertheless, Magic only announced that L'Oréal had put forward a proposal to acquire all the issued shares of Magic on 15 August 2013. The SFC alleged that Magic had failed to comply with the requirement of disclosing inside information when they had reached a preliminary agreement in late March. The Competition Ordinance was passed on 14 June 2012 and came into full effect on 14 December 2015. Under the new regime, the Competition Commission (the Commission) is the main investigatory body. As at the end of August 2018, the Commission had received over 3,200 complaints and enquiries, 30 per cent of which related to alleged cartel conduct including market-sharing and price-fixing. The Competition Tribunal (the Tribunal) meanwhile has jurisdiction to hear cases brought before it by the Commission as well as private follow-on actions, and is armed with a wide range of powers including the power to grant injunctive relief. On 23 March 2017, the Commission brought its first case before the Tribunal for alleged bid-rigging in a tender for the supply and installation of a new server by five information technology companies: Nutanix Hong Kong Limited, BT Hong Kong Limited, SiS International Limited, Innovix Distribution Limited and Tech-21 Systems Limited. Notably, the case was initially prompted by a complaint. In a strike-out hearing in November 2017, the Tribunal clarified the application of privilege against self-incrimination to companies, a decision with potential broader relevance to the conduct of interviews by regulators in Hong Kong. The presiding judge, Mr Justice Godfrey Lam (President of the Tribunal), held that statements made during interview are inadmissible only against the subject of compulsion, which is the person named on the interview notice, but not anyone else. The statements were therefore admissible against the defendant companies. Given the broad powers provided to the Commission by the Competition Ordinance to summon any person to attend an interview, the privilege against self-incrimination would appear to offer companies little (if any) protection in relation to statements made during such interviews. On 6 September 2018, the Commission announced that it had, for the first time, brought proceedings against individuals in what was then its third case before the Tribunal. The case relates to alleged market-sharing and price-fixing by three construction companies in the provision of renovation services at a subsidised housing estate developed by the Hong Kong Housing Authority. In its associated press release, the Commission stated that 'Companies cannot act on their own. Every corporate contravention involves individual wrongdoing. For that reason, to deter a company from engaging in cartel conduct, it is also necessary to deter the individuals through which the company acts. Individual pecuniary penalties and disqualification are necessary deterrents'. December 2018 marks the third anniversary of the Competition Ordinance and the Competition Ordinance is currently being reviewed for its effectiveness by the government. On 14 June 2017, Legco passed the Arbitration and Mediation Legislation (Third Party Funding) (Amendment) Bill 2016, allowing third-party funding in domestic arbitrations and work done in Hong Kong in association with foreign-seated arbitrations and mediations. The amendments remove the common law principles of maintenance and champerty in the context of arbitration and mediation. There have been important decisions in at least three significant anti-corruption cases during the past year. The first case concerns the former chief executive Donald Tsang Yam Kuen. Tsang was charged with two counts of misconduct in public office for failing to disclose his interests in a Shenzhen penthouse while he was in office and one count of bribery relating to renovations of the penthouse. The ICAC alleged that between November 2010 and January 2012, Tsang failed to disclose his negotiations with a major shareholder of Wave Media Limited in respect of a lease for a residential property in Shenzhen while Wave Media Limited's various licence applications were discussed and approved by the Executive Council. The ICAC further alleged that, between December 2010 and July 2011, Tsang failed to disclose his engagement of an architect to carry out interior design work at his personal residential property while referring for consideration for nomination this same architect under the Hong Kong Special Administrative Region (HKSAR) honours and awards system. In February 2017, nine jurors, by a majority verdict of eight to one, concluded Tsang had deliberately concealed the negotiations with the major shareholder of Wave Media Limited. Tsang was sentenced to 20 months in prison for misconduct in public office. The jury unanimously acquitted Tsang on the count relating to the referral of the architect for an honour under the HKSAR honours and awards system. On the separate bribery charge of Tsang accepting an advantage relating to the interior design work of the Shenzhen penthouse, the jurors were unable to reach a verdict. The government sought a second trial, which resulted in, for the second time, a hung jury on 3 November 2017. While it is possible the government may seek a third trial, it is considered unlikely that the Department of Justice will insist upon it. Tsang appealed against his conviction for misconduct in public office. In July 2018, the CA rejected Tsang's appeal but reduced his original 20-month sentence to 12 months. In August 2018, the CA heard Tsang's application for leave to appeal to the CFA but the judges rejected his application. On 20 December 2018, the CFA granted Tsang's application for leave to appeal and his case is scheduled to be heard on 14 May 2019. The ICAC's action against Tsang has prompted public debate about possible reforms to Hong Kong's bribery laws. Currently, under Section 3 of the Prevention of Bribery Ordinance (POBO),6 any civil servant 'who, without the general or special permission of the Chief Executive, solicits or accepts any advantage shall be guilty of an offence'. The result is that as it currently stands the Chief Executive cannot commit this offence. The second anti-corruption case involved a well-known television personality, Chan Chi Wan Stephen (Chan). Chan was charged under Section 9 of the POBO, which addresses bribery in the private sector (specifically, between a principal and an agent). Section 9 provides that it is an offence for an agent, without lawful authority or reasonable excuse, to solicit or accept an advantage as an inducement to or reward for his or her: (1) doing or forbearing to do, or having done or forborne to do, any act in relation to his or her principal's affairs or business; or (2) showing or forbearing to show, or having shown or forborne to show, favour or disfavour to any person in relation to his or her principal's affairs or business. The prosecution accused Chan, an employee and thus agent of Television Broadcasts Limited (TVB), of accepting an advantage from a director of another company to act in relation to the affairs of TVB, Chan's principal. The case reached the CFA, where Chan's conviction by the lower courts was quashed. Ribeiro PJ, who delivered the majority judgment, clarified the elements of a Section 9 offence, concluding that it must involve an advantage intended as an inducement for an agent to act or forbear to act in a manner detrimental to the interests of the principal and that the 'detriment' may include reputational damage to the principal or undermining the principal's trust and confidence in its agents. As there was no detriment in the present case to TVB, Chan's actions were found not to be corrupt and his conviction was quashed. The significance of this ruling is that any prosecution of a Section 9 offence will need to prove that an agent's action involved detriment to the principal. On the other hand, however, Ribeiro PJ has also made clear that 'detriment' may be construed more widely than previously thought, and covers not only tangible economic loss, but reputational damage to the principal's business or unauthorised disclosure of confidential information as well. The third anti-corruption case involved a well-known lawyer, Kennedy Wong Ying-ho (Wong), who is also a delegate to the Chinese People's Political Consultative Conference. Wong was accused of transferring 15 million preference shares of Hong Kong Resources Holdings Company Limited (HKRH), a listed company, which he was an executive director of, to his fellow director, the late Herbert Hui Ho-ming (Hui), in order to gain influence over him in the operations of HKRH. The prosecution accused Wong of bribing Hui while Wong contended that the gift was to reward Hui's past performance and was in the interest of HKRH. The case was heard in the District Court at the end of 2017. The judge accepted Wong's defence unreservedly and acquitted him in January 2018. Civil procedure in Hong Kong is governed by the Rules of the High Court and the accompanying Practice Directions issued by the Chief Justice. These Rules were substantially revised by the enactment of the Civil Justice Reforms (CJR), which came into effect on 2 April 2009. Reducing the cost of delay associated with litigation proceedings and proper case management are the declared cornerstones of the CJR. The reforms were introduced to counter a trend of multiple interlocutory applications, excessive discovery and unfocused proceedings that led to delay and unnecessary expense. Parties that do not follow the revised procedures as set out in the CJR can expect adverse cost orders7 or, in severe cases of non-compliance, to have their claims struck out by the court.8 Costs will no longer be necessarily awarded to the successful party and the court can now have regard to whether the costs that were incurred were in proportion to the amounts at stake in the claim. There are a number of different procedures by which court proceedings can be commenced in Hong Kong. In particular, certain types of actions (such as judicial review) have their own specialised procedures. Nevertheless, most commercial actions are commenced by a writ of summons. A typical set of court proceedings will consist of the following steps. The plaintiff (claimant) issues in the CFI a writ of summons endorsed with a statement of claim. In a typical claim for breach of contract, it will recite which provisions of the contract have been breached, the key facts supporting it and the remedy sought. The defendant files its acknowledgement of service indicating whether it intends to defend the proceedings. It is difficult to generalise the time frame for a piece of civil litigation. This will depend on a variety of factors, including the extent of discovery, the availability of witnesses and the complexity of the issues in dispute. Nevertheless, one can usually expect a judgment at first instance within two years of the commencement of proceedings; a summary judgment application may be determined within as little as three, but usually within six, months of proceedings being initiated. The Hong Kong courts will hear urgent or interim applications in relation to a wide range of matters. There is sometimes a risk that an unscrupulous defendant may remove its assets from the jurisdiction or otherwise dissipate them when it learns that proceedings have been commenced against it. This is a particular concern given the ease with which funds can now be transferred electronically across borders. A Mareva injunction can be obtained at the outset of proceedings to restrain the defendant from disposing of assets that may be held in Hong Kong and, in certain circumstances, outside Hong Kong. The injunction is ancillary to the main proceedings and is made after the court has considered affidavit evidence from the plaintiff. Typically, the injunction order is served on banks that hold funds of the defendant and the banks must comply with the order. There are very strict requirements for full and frank disclosure in the evidence filed, and the plaintiff must give an undertaking to compensate the defendant and other parties affected by the injunction if it is subsequently held that the injunction should not have been granted. A party to litigation in Hong Kong can apply to court for an order permitting it to enter the premises of another party to inspect and preserve property belonging to that party that may, for instance, be needed as evidence in proceedings. The difficulty with following this procedure is that the other party will be alerted to what may happen if the order is granted and may take advantage of the delay to destroy the property concerned. To address this possibility, in exceptional circumstances, the court may grant an Anton Piller order, without prior notice to the defendant, which directs the defendant to allow the people specified in the order to enter its premises and take away and preserve evidence. Given the draconian nature of the order, which is almost akin to a criminal search warrant, it has been described as a 'nuclear weapon' in the law's armoury.11 Accordingly, the courts are very concerned to ensure that the process is not abused. As with a Mareva injunction, if an Anton Piller order is later found by the court to have been wrongfully obtained, the party who obtained the order is liable to compensate the other party and other affected third parties for losses suffered as a consequence of the order. Unlike many other jurisdictions, Hong Kong does not currently have specific provisions for dealing with multiparty litigation. In May 2012, the Law Reform Commission (LRC) published a report, following a three-month consultation period in February 2010, recommending the introduction of a comprehensive regime for multiparty litigation. The LRC further recommended that the new class action regime should adopt an opt-out approach (unless one of the plaintiffs is foreign, in which case the LRC recommended an opt-in approach), so that once the court certifies a case as suitable for a class action, the members of the class would automatically be considered bound by the litigation, unless within a prescribed time limit a member opts out. Responding to reservations expressed during the consultation period, the LRC recommended an incremental approach of implementation whereby a restricted regime covering only consumer cases is introduced first, to be extended to other cases once sufficient experience has been gained. Consumer cases are considered to be a suitable starting point because potential representative plaintiffs can take advantage of the existing Consumer Legal Action Fund to fund the class action. In the long term, the LRC recommended that a general class actions fund be established to make discretionary grants to all eligible impecunious class action plaintiffs and be reimbursed by successful ones. In late November 2012, the Department of Justice announced that it would establish a working group to study and consider the LRC's proposals. The working group would be chaired by the Solicitor General and consist of members representing the major stakeholders in the private sector, the relevant government departments, the two legal professional bodies and the Consumer Council. The working group has conducted 23 meetings as at the end of September 2018. In addition, a subcommittee of the working group was formed to assist the working group on technical issues that might arise during its deliberations. However, the LRC's recommendations have not been implemented. Until they are, the only alternative is a 'representative procedure' that has been generally criticised as being too restrictively interpreted. A slight variation of facts or a possibility of a different defence to a claim brought by one member of the 'class' may be sufficient to deny the entire class the 'same interest' in the proceedings. Currently (and generally), companies may not begin or carry on proceedings without being represented by a solicitor. Previously, only barristers (instructed by a firm of solicitors) could appear in the higher courts on behalf of parties; however, this restriction was removed by the Legal Practitioners (Amendment) Ordinance 2010 (LPAO). The Higher Rights Assessment Board (HRAB), established under the LPAO, was tasked to devise the eligibility requirements for solicitors who wish to apply for higher rights of audience. The resultant Higher Rights of Audience Rules (HRA Rules) came into operation in June 2012. According to the HRA Rules and the Legal Practitioners Ordinance, as amended by the LPAO, in order to be eligible, the applicant must hold a current practising certificate, have practised for at least five years aggregate in the seven years preceding the application and have the 'necessary professional competence', which, as elaborated in an explanatory document published by the HRAB,12 is equivalent to the level of competence expected of a barrister appearing in higher courts in the areas of ethics, evidence and procedure, general advocacy, trial advocacy and appellate advocacy. The first round of assessments took place in autumn 2012. Fifteen solicitors passed and were registered to practise in the highest court in February 2013. To date, a total of 54 practitioners have been appointed as solicitor-advocates. A notable exception to the audience rule is in hearings before the Labour Tribunal where neither barristers nor solicitors have rights of audience unless they are appearing on their own behalf as a claimant or defendant in proceedings.13 If a company is a defendant in proceedings, it is expressly empowered to give notice of its intention to defend by any person duly authorised to act on its behalf. Generally, litigants in person may represent themselves in proceedings except where the litigant is a minor or under a disability pursuant to the Mental Health Ordinance. A party who intends to serve documents initiating proceedings on a person outside of Hong Kong must, except in certain limited circumstances, obtain the prior leave of the court in order to do so.14 There are a number of different grounds under which leave to serve out may be obtained. These include, for instance, actions commenced in respect of contracts where the Hong Kong courts have explicitly been granted jurisdiction and contracts governed by Hong Kong law. However, in addition to a valid ground, applicants seeking the court's leave to serve out of the jurisdiction need to satisfy the court that there is a serious issue to be tried on the merits of the claim and that Hong Kong is the most convenient forum for the trial of the case. At common law, an action may be brought in Hong Kong to enforce a foreign judgment debt (without the need to relitigate the underlying cause of action). Under the Foreign Judgments (Reciprocal Enforcement) Ordinance, the judgments of certain countries (including Australia, Belgium, Brunei, France, Germany, India, Israel, Italy, Malaysia, New Zealand and Singapore) are capable of more direct enforcement by registration. Once registered, the foreign judgment may be enforced in the same way as a judgment obtained in a court in Hong Kong. The Mainland Judgments (Reciprocal Enforcement) Ordinance, which provides a mechanism by which certain judgments made in the PRC may be enforced in Hong Kong and Hong Kong judgments in the PRC, came into operation on 1 August 2008. The effectiveness of this Ordinance has always been seen as quite limited since it applies only to judgments for damages arising from commercial agreements where the relevant agreement provides for exclusive jurisdiction of the chosen (Hong Kong or PRC) court. Although the Hong Kong government and the Supreme People's Court of the PRC had since concluded two arrangements on mutual recognition and enforcement of judgments between the PRC courts and Hong Kong courts, namely the Choice of Court Arrangement (in 2008) and Arrangement for Enforcement of Civil Judgments in Matrimonial Home and Family Cases (in 2017), both arrangements have limited effect on alleviating the constraints stipulated by the Ordinance. However, in January 2019, the Hong Kong government announced that it had concluded the Arrangement on Reciprocal Recognition and Enforcement of Judgments in Civil and Commercial Matters (the Arrangement). The Arrangement, signed on 18 January 2019, has a significantly expanded scope of application compared with the existing Ordinance and arrangements. It provides specific guidance on recognition and enforcement of judgments arising from IP infringements, civil disputes over acts of unfair competition and awards of property. It will cover judgments in relation to civil damages awarded in criminal cases. It will also allow the enforcement of both monetary and non-monetary relief. Restrictions remain, such as the requirement for underlying contracts to give the relevant PRC or Hong Kong court exclusive jurisdiction to resolve disputes that may arise. Nevertheless, the Arrangement is a welcome development in terms of providing clarity to existing arrangements. It is not yet known when the Arrangement will come into effect. As a general rule, the full court file cannot be inspected by members of the public; in exceptional cases the public may be granted leave from the High Court Registrar to inspect affidavits, pleadings and other evidentiary court documents if there are very cogent reasons for them to do so. However, the public may inspect and obtain copies of writs or other documents by which proceedings are commenced. Final and interlocutory court judgments are filed in the High Court library and are also freely accessible by the public on the judiciary website. The effect of these duties is that a solicitor who is in possession of confidential information concerning one client that is, or might be, relevant to another client is put in an impossible position because he or she owes duties to both clients that conflict; he or she must keep the information confidential but at the same time must pass it on to the other client. Thus, managing conflicts of interest in Hong Kong can be a difficult process compared with, say, England, where the rules make allowances for this type of situation. Where a report is made to the Hong Kong authorities, they will assess the information provided and advise the solicitor whether or not he or she should act for the particular client or in relation to the specific matter. Apart from the possibility of criminal sanctions in serious cases, solicitors can face disciplinary proceedings for non-compliance with these requirements. On 11 July 2016, the CFA in HKSAR v. Yeung Ka Sing Carson30 declined to follow English law and confirmed the position in Hong Kong that for a defendant to be convicted for dealing with the proceeds of crime under Section 25(1) of the Organized and Serious Crimes Ordinance, it is not necessary for the prosecution to prove that the property with which the defendant dealt in fact represented the proceeds of a serious offence. To secure a conviction it is sufficient to establish that the defendant had reasonable grounds to believe that it was. On 28 June 2017, the Anti-Money Laundering and Counter-Terrorist Financing (Financial Institutions) (Amendment) Bill 2017 was introduced into Legco. The bill aims to extend statutory customer due diligence and record-keeping requirements to solicitors, foreign lawyers, accountants, real estate agents, trust and company service providers and introduce a new licensing regime for trust and company service providers. The amendments came into effect on 1 March 2018. The Guidelines on Anti-Money Laundering and Terrorist Financing (Practice Direction P) issued by the Law Society of Hong Kong have also been revised with effect from 1 September 2018. Similarly, the revised Guideline on Anti-Money Laundering and Counter-Financing of Terrorism for Money Service Operators, Authorised Institutions, Stored Value Facility Licensees, Insurance related intermediaries, Licensed Corporations, Associated Entities came into force on 1 November 2018 superseding the previous version. New provisions on the regulation of direct marketing activities and the provision of legal assistance under the PDPO came into force on 1 April 2013. First, a new opt-in system has been introduced to strengthen the right of data subjects to control their personal data. Direct marketers must have notified the data subject and obtained his or her consent before approaching the data subject with marketing messages. Second, the data subjects have the right to opt out from direct marketing activities, even if they have previously consented to receiving direct marketing messages or if they have not responded to requests to indicate their objection. There is no time limit for exercising the right to opt out. Following the implementation of the General Data Protection Regulation in the European Union in May 2018, the Office of the Privacy Commissioner for Personal Data of Hong Kong published a booklet that aims at raising awareness among organisations and corporations of its possible application in Hong Kong. The two main forms of LPP – legal advice privilege and litigation privilege – that apply in Hong Kong are essentially the same as those recognised under English law. Where there is litigation or it is reasonably contemplated that it will occur, not only will communications between the solicitor and a client be privileged but also communications they have with third parties, if it can properly be said that their sole or dominant purpose is preparing for the litigation. In both cases, the privilege belongs to the clients and only the clients can properly choose to waive it. They can also lose it if, for example, legal advice is disclosed to third parties where there is no litigation or it is not reasonably contemplated. In 2015, the CA, in CITIC Pacific Limited v. Secretary for Justice and Commissioner of Police,35 set down a broader definition of 'client' to state that the client is the corporation, and the key question is therefore which employees are or should be regarded as authorised to act on behalf of the company in obtaining legal advice. The CA also adopted a broader test for legal advice privilege, which can now protect internal confidential documents in a client organisation that have been produced for the dominant purpose of obtaining legal advice. The court recognised that the definition of 'client' has to be broad enough to take into account the fact that various members of a corporation, not simply those in the legal team, may be required to obtain legal advice for the corporation. The CA in the CITIC decision declined to follow the approach of the English Court of Appeal in Three Rivers No 5.36 In the Three Rivers case, the court defined 'client' more narrowly to refer only to those employees who had been authorised by the company to give instructions to legal advisers. Both the CITIC and Three Rivers cases were Court of Appeal decisions in Hong Kong and in the United Kingdom respectively. The issue of who is capable of constituting the client for the purposes of legal advice privilege has yet to be considered by the United Kingdom Supreme Court or the CFA in Hong Kong. As a general rule, a lawyer or client cannot be compelled to disclose legally privileged communications in the context of a regulatory inquiry. Some statutes setting out the powers of the regulator expressly recognise this; for example, the SFO, which provides that persons being investigated by the SFC can rely on LPP in the same way as they could in the context of court proceedings. While this is the strict statutory position, the SFC has adopted a policy37 of effectively rewarding those under investigation (by discounting any penalty to be imposed) for voluntarily disclosing material relevant to an issue under investigation that otherwise would be protected by legal privilege. Sometimes there is no real practical alternative to disclosing privileged material to demonstrate to the regulator what happened in a transaction that is under investigation. There is, however, a potential danger in doing this, in that the SFC is a party to numerous cooperation arrangements with other regulators in Hong Kong and overseas, as a consequence of which the SFC may be obliged to produce to other regulators the disclosed privileged material. The question is whether such danger could be alleviated if a person could claim 'partial waiver' (i.e., waive LPP as against the regulator but retain it as against other parties, or waive LPP only for limited purposes). 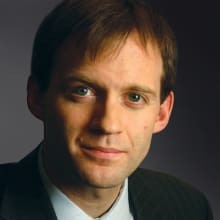 The trio of cases of Rockefeller & Co Inc v. Secretary for Justice,38 James Daniel O'Donnell v. Lehman Brothers Asia Ltd (In Liq)39 and CITIC Pacific Ltd v. Secretary for Justice and Commissioner of Police40 have explored the concept of 'partial waiver' of LPP in the context of the SFC's regulatory investigations. In the Rockefeller case, the plaintiff disclosed documents protected by LPP to the SFC subject to an express agreement not to waive any confidentiality or privilege in the documents. The documents were eventually passed on to a third party, against whom the plaintiff sought an injunction from using the document. The plaintiff argued that the relevant documents were only disclosed to the SFC for a limited purpose (i.e., LPP was only partially waived). 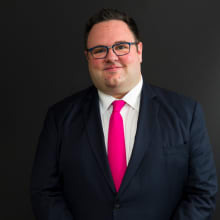 The CFI held that the waiver given was limited for a particular purpose but an injunction was not appropriate in the circumstances.41 The judgment was affirmed on appeal, with an obiter comment from Keith JA that the 'partial waiver' may be 'conceptually unsound'. In the Lehman case, the SFC sought from the liquidators documents that were relevant to the offering of the Lehman minibonds. The liquidators declined to disclose the minibond documents to the SFC on the grounds that the documents contained legal advice or were created for the purpose of obtaining legal advice. Instead, the liquidators disclosed redacted versions of the documents. The CFI held that the redacted portions indeed constituted a record of legal advice or were created for the purpose of obtaining legal advice. Accordingly, most of the documents should remain to some extent redacted. This decision confirms that the partial waiver of LPP for limited purposes could be achieved by tailoring the evidence to fulfil only the stated purposes. The principles in the Rockefeller case were further discussed in the CITIC case in 2012. In this case, certain documents were surrendered to the SFC pursuant to an authority to require production of and a direction to produce records and documents. A declaration, inter alia, that the surrendered materials be returned was sought by CITIC. The CA unanimously held in favour of CITIC, overturning the lower court's ruling that CITIC's waiver was absolute and finding instead that it was partial and solely for the purpose of the SFC investigation. While the CA's decision in the CITIC case is very helpful, the CFA has not yet given a definitive judgment in this area. The risk that any disclosure might still be treated as a blanket waiver should not be lightly dismissed. Therefore, any partial waiver should be considered with great care and should not be granted unless it is clearly justified. Where the company has made the commercial judgment that the benefits of partial waiver outweigh the risks of prejudice, it should mitigate its risk by putting the specific terms in writing at the outset when the documents are handed over, making clear the precise purpose and scope of investigation for which the partial waiver is made (e.g., for the purposes of the SFC's investigation only). As a general rule, in-house lawyers are treated like external lawyers and thus communications to and from in-house lawyers conveying or seeking legal advice will be treated as covered by legal advice privilege. The main qualification to this is where the in-house lawyer has both a business and a legal role in an organisation. Requests for legal advice and pure legal advice given will still be privileged. However, where there is a mix of legal and business advice, for example, if the in-house lawyer in an internal memorandum proposes a course of action having regard to legal advice and other factors, it becomes more difficult to properly assert that the document is protected by legal privilege. Hong Kong law recognises legal privilege whether the lawyer involved in giving the legal advice is admitted in Hong Kong or elsewhere. Thus legal advice given by, say, a French lawyer on issues of French law will be protected by legal privilege in the same way as legal advice on Hong Kong law given by a Hong Kong lawyer. This principle applies equally to legal advice given by an in-house lawyer. Thus legal advice on an issue of New York law given by an in-house lawyer admitted in New York working in a Hong Kong branch of a US bank will be protected. A party to proceedings before the Hong Kong courts is under a strict duty to preserve and disclose to the other parties to the proceedings all documents in its possession, custody or control that are relevant to the matters in question in the proceedings. This disclosure of documents is an automatic consequence of proceedings and generally must be given shortly after the parties have formally pleaded their respective cases. The reforms under the CJR allow for orders to be given to limit discovery in appropriate cases and ways; and the availability of pre-action and third-party discovery has been extended to all cases (previously these were only available in personal injury actions). The issues that have been pleaded provide the yardstick for determining what documents are relevant. The parties do not have to make a request for disclosure of particular documents. It is for the lawyers on each side to decide which documents are properly relevant to the pleaded issues and should therefore be disclosed. In doing this, the lawyers are deemed to act as officers of the court and not simply on the instructions of their clients. Parties are required to disclose the existence of all relevant documents. It is irrelevant that a document is prejudicial to a party's case: it must still be disclosed if it is relevant and a party cannot choose which documents to disclose. A document is relevant if it may assist one or other of the parties to advance his or her own case or damage his or her opponent's in relation to any issue, or if it may lead to a train of enquiry that may (indirectly) have that result. Such a result need not be inevitable: if disclosure of the document may potentially have that result, disclosure must be made. This rule applies equally to documents stored overseas, which must be brought into the jurisdiction for the purpose of litigation. This obligation covers both documents in existence and those produced at any time after a dispute has occurred. A party will have to account for documents that are lost or destroyed and unfavourable inferences may be drawn if it is apparent that documents have been destroyed. The parties and their lawyers must preserve documents relevant to a dispute and thus destruction of unhelpful documents is not an option. The exception to this obligation is that a party may claim legal privilege as an objection to production of documents. 'Documents', for these purposes, are widely defined and they include anything on which information or evidence is recorded in a manner that is intelligible to the senses or capable of being made intelligible by the use of equipment. Thus computer records, tape recordings, emails and manuscript notes are all potentially disclosable to the other side in proceedings. Information on a computer database that is capable of being retrieved and converted into readable form is treated as a 'document'. The test of whether documents held by a third party are in the power of a party to proceedings is whether the party has a presently enforceable legal right to obtain the documents from the third party. Merely because a party is the majority shareholder of a subsidiary does not mean that it is deemed to have control over relevant documents that are held by the subsidiary. If a professional adviser holds relevant documents that are the property of the party, and the party has the immediate right to demand their return, they will be treated as being in the party's control. However, the internal working papers of the adviser will generally not be treated as belonging to and thus under the control of a party. The burden of disclosing documents may fall disproportionately on one party compared with another. Sometimes, because of the nature of the dispute and the degree of its involvement, a party may have a great deal more documents to disclose than the other parties. That is a risk of litigation and a factor to be taken into account when embarking on litigation (a plaintiff may quite possibly have a heavier discovery burden than the defendant in a case), and in the past the courts have not intervened to address any imbalance. It is possible that this position may begin to change following the introduction of the CJR that now requires parties and the judiciary to have regard to proportion and procedural economy in the conduct of proceedings.42 In particular, the new Practice Direction 5.2 requires parties 'to try to agree directions for modifying discovery obligations … with a view to achieving economies in respect of discovery'. This may be of particular relevance, for example, with respect to disclosure of electronic records. The courts in the future may not require parties to expend disproportionate resources on retrieving electronic documents that have been 'deleted' from a computer system. However, it remains to be seen how this new approach will work in practice. The parties will usually agree on a date by which they will exchange lists of documents, accompanied by a notice that the other party may inspect and take copies of documents (though parties are now encouraged to dispense with formal lists if this would be more economical). In response to concerns regarding the increasing burden on parties of providing their electronic documents for discovery, the Hong Kong judiciary introduced the Practice Direction SL 1.2 – Pilot Scheme for Discovery and Provision of Electronically Stored Documents for Commercial List Cases. The Practice Direction came into effect on 1 September 2014, and is mandatory in terms of all actions commenced on, or transferred into the Commercial List on or after, 1 September 2014 in which the claim or counterclaim exceeds HK$8 million and there are at least 10,000 documents to be searched for the purposes of discovery. Arbitration is commonly stipulated in commercial agreements relating to Asia as the method of resolving disputes. The 2015 International Arbitration Survey, prepared by Queen Mary University of London's School of International Arbitration, listed Hong Kong as one of the top three jurisdictions that organisations have preferred and selected to use as the seat of arbitration in their contracts. There are a number of reasons for Hong Kong's popularity as a seat and venue for arbitration. A new Arbitration Ordinance came into operation on 1 June 2011 (replacing the former Arbitration Ordinance in force since 1963). The Arbitration Ordinance is intended to simplify arbitration law in Hong Kong and make it more user-friendly by following the UNCITRAL Model Law structure from 'Arbitration Agreement' through to 'Recognition and Enforcement of Awards'. There is now a unitary regime of arbitration on the basis of the UNCITRAL Model Law, thereby abolishing the distinction between domestic and international arbitrations previously applicable under the old Ordinance. In general, the provisions under UNCITRAL previously applicable to international arbitrations now apply to all arbitrations together with most of the other provisions that previously applied to all arbitrations. There are no restrictions on the arbitration rules that parties may choose to resolve disputes in Hong Kong. Equally, there are no restrictions on the laws governing a contract that can be applied when determining a dispute by arbitration. Thus, in theory, an arbitration under the International Chamber of Commerce (ICC) Rules could be conducted in Hong Kong between a Norwegian and Indonesian party applying Swiss law. Whether that would be a sensible commercial way of resolving a dispute is another matter. Hong Kong has a highly regarded arbitration centre, the Hong Kong International Arbitration Centre (HKIAC), and has, since the end of 2008, hosted the Asian branch of the ICC Court Secretariat. In 2012, Hong Kong also became the first jurisdiction outside the PRC to host a China International Economic and Trade Arbitration Commission arbitration sub-commission. In January 2015, the Permanent Court of Arbitration (PCA) also signed a Host Country Agreement with the PRC government and a related Memorandum of Administrative Arrangement with the Hong Kong government to facilitate the conduct of PCA-administered arbitration in Hong Kong, including state-investor arbitration. In December 2017, the Hong Kong government and the National Development and Reform Commission of the PRC government signed an agreement aiming to advance Hong Kong's full participation in and contribution to the Belt and Road Initiative, which included establishing Hong Kong as a hub for international legal and dispute resolution services for the Belt and Road Initiative. Hong Kong has a wealth of lawyers experienced in arbitration and enjoys a reliable independent court system to support the use of arbitration. The latest available figures published on the HKIAC website, for example, indicate that in 2017, the HKIAC handled 297 arbitrations, of which 73.1 per cent were international in nature and featured parties from 39 jurisdictions. In terms of statutory amendments, the Arbitration (Amendment) Ordinance 2017 was gazetted on 23 June 2017 and became effective on 1 January 2018, clarifying the law to allow disputes over intellectual property rights to be resolved by arbitration and that enforcing arbitral awards involving intellectual property rights is not contrary to Hong Kong public policy. Legislation allowing third-party funding in arbitration was also passed. This particular amendment, however, will not apply to funding provided by lawyers representing any parties to the arbitration, as professional conduct rules prohibit lawyers from acting on a contingency fee basis. a party may file an application for the appointment of an emergency arbitrator before the commencement of an arbitration, provided that a Notice of Arbitration is submitted to the HKIAC within seven days unless the emergency arbitrator extends this time limit. The Hong Kong court has generally adopted a pro-arbitration policy and a 'hands off' approach to cases involving arbitration. Recently, in Chee Cheung Hing & Company Limited v. Zhong Rong International (Group) Limited,44 the CFI considered an application to stay proceedings and refer the matter to arbitration under Section 20 of the Arbitration Ordinance. Although the existence of the underlying contract between the parties (and thus whether the parties are bound by an arbitration clause therein) was in dispute, the CFI nonetheless held that the proceeding be stayed (and the matter be referred to arbitration) on the basis that the applicant had demonstrated 'a prima facie and plainly arguable case' that the parties were bound by an arbitration clause. By refusing to decide on the validity of the arbitration clause and leaving the matter to the arbitration tribunal, the CFI firmly endorsed the competence-competence principle – that an arbitration tribunal should have the power to rule on its own jurisdiction. This principle was also applied by the CFI in Macao Commercial Offshore Ltd v. TL Resources Pte Ltd,45 in which it was held that where the claimant had apparently departed from the applicable arbitration agreement between the parties by commencing proceedings before the ICC rather than the Singapore International Arbitration Centre, the court should leave the matter to the ICC tribunal to determine its own jurisdiction over the case. Hong Kong, through the PRC, is a party to the New York Convention. As between Hong Kong and the rest of the PRC, there is an arrangement for reciprocal enforcement of arbitration awards called the Arrangement Concerning Mutual Enforcement of Arbitral Awards Between the Mainland and the Hong Kong Special Administrative Region, which broadly follows the New York Convention. Hong Kong also entered into a similar arrangement with Macau in January 2013. The enforcement arrangements for the New York Convention and arbitration awards concerning parties from the PRC remain in place and are unaffected by the Arbitration Ordinance. The CFA considered the application of the New York Convention to Hong Kong in Hebei Import & Export Corp v. Polytek Engineering Co Ltd,46 and in particular the 'public policy' ground for refusal to enforce a foreign arbitral award. In the Hebei case, the CFA held that the 'public policy' ground for refusal of enforcement is to be narrowly construed and applied. It also held that the courts have a residual discretion to uphold leave to enforce an award, even if the grounds for setting aside such leave have been demonstrated. The CFA noted in this respect that it was appropriate to have regard to the principles of 'finality and comity' contained within the New York Convention. Such a pro-enforcement approach was reaffirmed by the CA in the case of Pacific China Holdings Ltd (In Liquidation) v. Grand Pacific Holdings Ltd in May 2012.47 The case concerned an arbitral award made against Pacific China Holdings Ltd (Pacific China) in favour of Grand Pacific Holdings Ltd (Grand Pacific) in 2009. Pacific China filed a petition to set aside the award for serious procedural irregularity (e.g., the refusal of the arbitral tribunal to consider Pacific China's responses to Grand Pacific's post-hearing submissions) pursuant to Article 34(2) of the UNCITRAL Model Law. The CFI found that Article 34(2) was indeed violated. It directed itself that if the result of the arbitration may have been different had the violation not occurred, it must set aside the award. The CA unanimously overturned the CFI's decision and reinstated the award, holding that there was in fact no violation of Article 34(2). This case was conclusively resolved in February 2013, when the CFA refused to grant leave to appeal from the CA decision, expressing its view that the award complained of was made by the arbitral tribunal in the proper exercise of its procedural and case management discretions.48 The judgment illustrated the court's reluctance to interfere with arbitral awards and its preference for a pro-enforcement approach that is in line with the principles of 'finality and comity'. The pro-enforcement approach was further affirmed by the CFI in U v. A49 in February 2017. The case concerned a preliminary assignment contract (PAC), under which the claimant agreed to purchase majority shareholdings in a PRC joint venture company. The PAC also provided for transfer of assets from the second respondent to the joint venture company and certain changes in the joint venture's board composition. Disputes arose between the parties, and the claimant commenced arbitration proceedings in Hong Kong for various breaches under the PAC. The claimant was awarded specific performance, damages and costs. Subsequently, the claimant obtained an order from the court for leave to enforce the arbitral award. The respondents applied to set aside the order, arguing that: (1) the arbitrator had refused to admit a PRC judgment the respondents relied heavily on, such that the respondents were not able to have a full opportunity to advance their case on the invalidity of the PAC; (2) the arbitral award dealt with an issue outside the scope of the submissions; and (3) it would be contrary to public policy to enforce the award as the PAC was invalid and ineffective under PRC law. The court rejected their arguments on the grounds that: (1) refusing to admit the PRC judgment did not cause any prejudice as the respondents were given a fair opportunity to present expert evidence to the arbitrator; (2) only decisions clearly unrelated to, or not reasonably required for, the determination of the subject dispute are decisions which can be rightly said to be beyond the scope of the submission; and finally, (3) an error of law made by the tribunal is not sufficient basis for refusing enforcement and that public policy arguments should not be used as a 'catchall provision whenever convenient'. This case demonstrates the Hong Kong courts' overall unwillingness to set aside arbitral awards without compelling grounds. Moreover, the court is generally in favour of speedy and efficient enforcement of arbitration awards. Even in circumstances where the court is willing to stay enforcement of an arbitration award pending the result of a challenge made to set aside the award, substantial security is likely to be required from the party applying for the stay. In L v. B,50 an arbitration award of approximately US$41.8 million was made against B in an arbitration seated in the Bahamas. B commenced proceedings in the Bahamian court to set aside the award on the ground of serious irregularity and to appeal on a question of law. At the same time, B applied to the CFI to stay enforcement of the award in Hong Kong. After considering the strength of the arguments and the ease or difficulty of enforcement of the award if enforcement is delayed, the CFI granted a four-month stay of enforcement on the condition that B must provide a sum of HK$41.6 million as security. This decision demonstrated the court's reluctance in postponing the enforcement of arbitral awards. In Shandong Chenming Paper Holdings Limited v. Arjowiggins HKK 2 Limited,51 the CFI further indicated its openness to wind up a foreign company for failure to make payment of an arbitral award. In this case, the plaintiff was incorporated in the PRC and had a secondary listing on the stock exchange of Hong Kong. In 2012, the defendant was awarded damages by the arbitration tribunal in relation to a dispute arising out of a joint venture agreement. Later, the defendant was granted leave from the CFI to enforce this award. The plaintiff subsequently failed to make the payment. When the Defendant served a statutory demand on the plaintiff as a signal to an impending winding-up order, the plaintiff sought to contend that the court could not exercise its discretion to issue a winding-up petition against it as it did not have any assets or conduct business in Hong Kong. The plaintiff's only connection with Hong Kong was its secondary listing. Despite this, the CFI nevertheless held that it indeed had jurisdiction to wind up the plaintiff. This decision clearly conveys the robust measures the courts are willing to take in order to ensure the enforcement of arbitral awards. Mediation has been achieving increased prominence following the implementation of the CJR. Practice Direction 31, which came into force on 1 January 2010, requires parties to have made genuine attempts to resolve disputes by mediation. Any party that resists this could face a potential costs penalty if at the conclusion of the proceedings the court determines the party has unreasonably failed to engage in mediation. The HKIAC has its own mediation rules and maintains a list of accredited mediators. The Mediation Ordinance (MO)52 came into force on 1 January 2013. The primary purpose of this relatively short Ordinance is to provide statutory underpinning to support the confidentiality of mediation communications, defined as anything said or done, any document prepared or any information provided for the purpose of or in the course of mediation. The MO specifies situations where a disclosure may be made, for instance, where both parties and the mediator consent to the disclosure, where the disclosure is necessary to prevent danger of injury to a person or of serious harm to the well-being of a child or where the disclosure is required by law. The Financial Dispute Resolution Centre (FDRC) came into operation on 19 June 2012. The FDRC's primary function is to allow retail investors alleging mis-selling by banks and other financial intermediaries the opportunity to make claims for compensation not exceeding HK$1 million53 under a framework of 'mediation first, arbitration next'. Prior to the establishment of the FDRC, an aggrieved customer's options were limited. He or she could have elected to report the alleged mis-selling to the SFC or the HKMA, but while the regulators may examine the practices of the financial institutions and impose penalties in appropriate cases, they do not adjudicate on claims for financial remedy. Instead, an aggrieved customer's only way of recovering financial losses was to go through the court system, which was considered often too costly and time-consuming for relatively low-value claims. The FDRC was established to provide investors with an alternative avenue of dispute resolution that is hopefully more expeditious and affordable. In order to facilitate the establishment of the FDRC, the SFC introduced amendments to the Code of Conduct for Persons Licensed by or Registered with the SFC, which took effect on 19 June 2012. The key amendment requires licensed or registered persons regulated by the SFC or the HKMA to comply with the FDRC Scheme and be bound by its process. The Arbitration and Mediation Legislation (Third Party Funding) (Amendment) Ordinance 2017 also introduced a new Section 7A to the Mediation Ordinance, allowing third-party funding in mediation. The number of investigations and enforcement actions begun by the key regulators is expected to remain consistent into 2019. The SFC has indicated a determination to exercise its prosecutorial powers for breaches of the SFO where available and is displaying a growing appetite for seeking to establish personal as well as corporate liability for relevant civil contraventions and criminal offences under the SFO against officers of corporations and other entities as well as the organisations themselves. Hong Kong meanwhile continues to consolidate its position as an arbitration hub. With more flexible funding arrangements for arbitrations now available in Hong Kong, Hong Kong will likely further enhance its competitiveness as a seat of choice for international arbitrations. 1 Mark Hughes is a partner and Kevin Warburton is a counsel at Slaughter and May. 2 Article 5 of the Basic Law of the Hong Kong Special Administrative Region. 3 Claims involving monetary value of over HK$50,000. 4 The amendment came into effect on 3 December 2018. 5 Article 18 provides that 'National laws shall not be applied in the Hong Kong Special Administrative Region except for those listed in Annex III to this Law . . . Laws listed in Annex III to this Law shall be confined to those relating to defence and foreign affairs as well as other matters outside the limits of the autonomy of the Region as specified by this Law'. 6 Chapter 201 of the Laws of Hong Kong. 7 See, for example, Cheung Man Kwong Thomas v. Mok Chun Bor  HKEC 1636. 8 Worldwide Chinese Business Investment Foundation Ltd v. Shine Rainbow Marketing Ltd  HKEC 223. 9 Hong Kong Civil Procedure, Rules of the High Court, O.14. 10 Hong Kong Civil Procedure, Rules of the High Court, O.19. 11 For instance, by Sakhrani J in Overholt v. Overholt  2 HKLRD 445. 12 HRAB, 'Standards of Professional Competence'. 13 Section 23(2) of the Labour Tribunal Ordinance (Chapter 25). 14 Hong Kong Civil Procedure, Rules of the High Court, O.11 r.1. 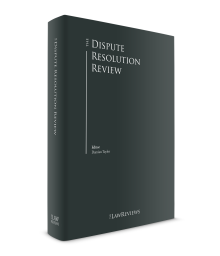 15 Hong Kong Civil Procedure, Rules of the High Court, O.69. 16 Hong Kong Civil Procedure, Rules of the High Court, O.70; see also Section 75 Evidence Ordinance. 17 Siegfried Adalbert Unruh v. Hans-Joerg Seeberger and Another  unreported, FACV 9A/2006 on 9 March 2007. 18 See Paragraphs 4 to 11 of the judgment of Harris J on 4 May 2010, In Re Cyberworks Audio Video Technology Limited (HCCW 1113/2002). 19 Akai Holdings Limited (in Compulsory Liquidation) v. Christopher Ho Wing On (HCCL 37/2005 and HCCL 40/2005). See also Law Society Circular 09-674(PA) dated 31 August 2009. 20 Democratic Republic of Congo v. FG Hemisphere Associates  HKCFA 41. 21 Hua Tian Long  3 HKC 557. 23 Cap 300 of the Laws of Hong Kong. 27 Chapter 615 of the Laws of Hong Kong. 28 See the Drug Trafficking (Recovery of Proceeds) Ordinance, the Organised and Serious Crimes Ordinance and the United Nations (Anti-Terrorism Measures) Ordinance. 29 The reasoning of the English Court of Appeal in Bowman v. Fels  EWCA Civ 226 has been adopted in Hong Kong under Section 81 of the Anti-Money Laundering and Counter-Terrorist Financing (Financial Institutions) Ordinance. 31 Schedule 1 (Principle 3) of the Personal Data (Privacy) Ordinance (Chapter 486). 37 See the Guideline of March 2006 – Cooperation with the SFC. 38  3 HKC 48 (CA). 42 Order 1A, Rule 1. 52 Chapter 620 of the Laws of Hong Kong. 53 FDRC's Term of Reference 2018 – the revised limit applies to claims where the date of first knowledge of loss by the claimant falls on or after 1 January 2018.